How much will cost to build an cooking oil refinery plant? Henan Doing Mechanical Equipment Co,Ltd is a professional manufacturer of cooking oil processing machines, including oil seeds pretreatment plant, cooking oil extraction plant, cooking oil refinery plant and cooking oil fractionation or dewaxing plant. 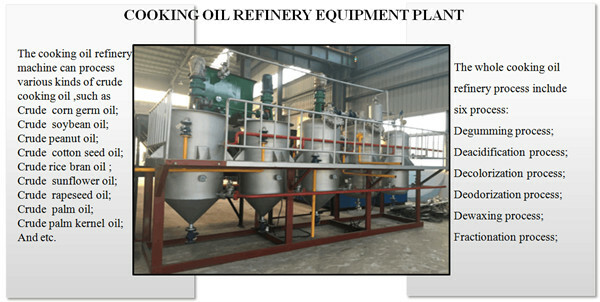 If you want to build an cooking oil refinery plant, you should take the following factors into consideration, the quantity and capacity of edible oil refinery equipment, the cost for local construction labor to assemble the plant and the supplier you selected. Among these factors, the most important one is the type of the edible oil refinery plant you selected to purchase. we can offer various kind of cooking oil refinery plant. Our edible oil refinery plant could process peanut oil, groundnut oil, soybean oil, sunflower seeds oil, corn germ oil, cotton seeds oil, rice bran oil, palm oil and so on. You can read these two article to know the difference of edible oil refinery plant. 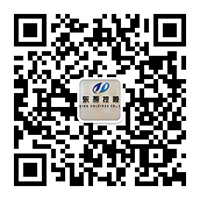 Then you can tell us your choose, we will give you an suggestion about the cost of edible oil refinery plant you want. Crude vegetable oil → degumming and deacidification → decolorization → deodorization → winterization or dewaxing → refined vegetable oil. And our edible oil refinery plant use fine quality material and advanced technology compliance with international quality standards and also with highly efficient in nature. In addition to this, these are highly demanded in market due to their excellent quality and competitive prices. 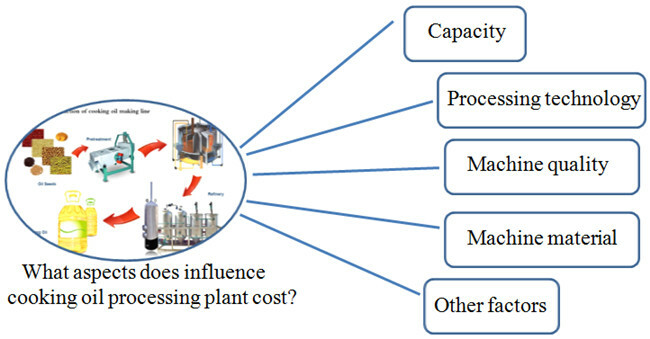 Prev:Where can I get vegetable oil mill and refinery plant at a cheap price? Next:What is the cost of setting up a small scale soybean oil processing plant? If you wanna to get more details about How much will cost to build an cooking oil refinery plant? you can send E-mail to market@doinggroup.com. You can consult our professional engineer and specialized sales team with leave a message in below form.We will contact with you ASAP.You also can visit our factory in Henan,China.Get Detailed address.